Have you ever experienced that bouncy front or rear end of your car? Have you ever heard a knock every time you went over one of the thousands of pot holes that cover the Denver streets? 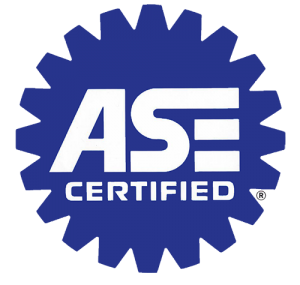 You may be in need of service to your suspension system. Shocks and struts control how vehicles ride and handle. The struts and shocks act as a cushion to dampen the bouncing action of a car’s springs. Contrary to popular belief, roads are not smooth and flat. Due to changing climate, earth conditions, and construction obstacles, road bumps are literally everywhere. The springs on the struts and shocks are there to absorb all of the millions of inconsistencies of road conditions; without them, the vehicle would continually bounce and bound down the road, making driving extremely difficult. What makes up the suspension system? The suspension system is a combination of shock absorbers, struts, and springs, leaf springs (on trucks), air bag suspension (on trucks and high end automobiles), torsion bars, and anti-sway bars. If one or more of these parts is not performing, you can be in danger of losing of control of your vehicle. • If you feel your vehicle sway on turns. • When accelerating, the rear of the vehicle squats or noticeably dips down in the back. • On a winding, rough road you notice that the vehicle bounces or slides sideways. • The front-end of the vehicle dives when braking. • You feel the vehicle “bottoms out” or thumps on bumps. • You can see that the vehicle sits lower in the front or rear. • The vehicle is leaking or has signs of physical damage, such as rusting or dents. • You feel a loss of directional control during sudden stops of the vehicle. If you experience any of the above conditions, it is a good idea to have your vehicle’s suspension system inspected by Denver’s best mechanics at All Auto. Remember, your car can only perform as good as the parts that are on it. Without good suspension, you run the risk of poor performance, dangerous driving control, and potentially disastrous results. Make sure you keep your vehicle safe for you and those around you!